Leaving the desert was a decision that set uneasily in Lozita's heart. She was strong minded and wiser than the other girls. Dalitso also had an affection for her. Lozita and Dalitso were born at the same time and grew up together in this very caravan they now owned. Thus, because of this retort, Dalitso agreed to have an audience with the Spear-Lady Lozita. Zosa, Nahita, Pela and Sanze all supported Dalitso's decision to leave, but in respect to their gypsy sister they would listen and take part in her council. It had been a fortnight since Lozita voiced her concern. Dalitso finally pulled the reigns and halted the tengu mounts who carried the Demon Caravan. The tengu stilled, their vicious red hues looked as if they had missed the sweet taste of flesh, but they had been tamed well eating vegetation to survive in the Aceba Desert. Dalitso raised these tengu as eggs so they had never knew the wild taste of human; occasionally he would feed them fish. Indeed, they were cold blooded and did not need as much water as horses and their talons could move on far more ground then either camel or horse; which made them ideal for the forest, mountain and desert. 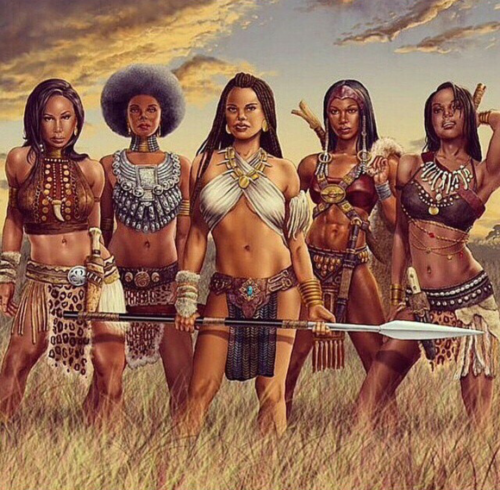 The girls stepped outside the caravan and awaited Dalitso, The Spear-Lady Lozita stood front as always. "I thought you would make me wait a month." Lozita jested. Dalitso stepped out of the caravan, his naked chest like iron covered in a scarlet scarf; a curved scimitar was sheathed on his side and his pants were fitted like a dancer, with high leather boots. When he walked there was a swagger about him that made the insides of the women who watched turn weak. He grinned at her jest and pulled out a ripe fruit to eat. "Dear Dalitso, I have loved you since my eyes could first see. But I am torn that you would risk our livelihood to aid this white queen. You know of the tales in the north...how they are against our kind and take our ancestors as slaves. You above all should be against such people. Yet you seek to do business with them. Tell me why? Convince me that your reasons are just!" Lozita begun. "It is for that very reason why I have decided to go." Dalitso said. The girls all murmured in confusion. Lozita was irate. Thus before any could retort he explained further. "My cousin, Ro'Shan is rumored to be enslaved by this very queen. Yet she has learned of our exploits in the desert and has requested foreign spice in return for northern gold. I plan to not only take her gold, but free my cousin." Lozita went weak in her thighs at his ambition. She smiled and polished the end of her spear in awe. The ladies all rallied at Dalitso's words and Lozita bowed and agreed to leave. There was no greater cause in her heart then to free one of their own. Suddenly, the Tiger Demon Chi materialized, her voice dark and grim and her demon sword was elegant and it glowed black when unsheathed. "Very well, enough talk. You have always been the wise one Lozita...you almost disappointed me. I will scout ahead." Chi said, only to dematerialize and leave the girls shuddering as she always did. Dalitso finished his fruit and turned back to prepare his leave. The girls all followed. Of all the places she's running to hide, she chooses to go towards the desert. Hiding as an escaped young gladiatrix wouldn't be difficult though if she ran there...would it? The girl stumbled a little and fell onto the ground below her. She sat up and willed herself not to cry. But how could she not? She had practically nothing except for the clothes on her back and the two daggers she stole. She left behind the closest thing she had to a home and left behind her only true friend. She looked down at herself and checked over her appearance. She wore clothes similar to the common people of the north. Her hair was cut in hopes of making her difficult to recognize to hunters. 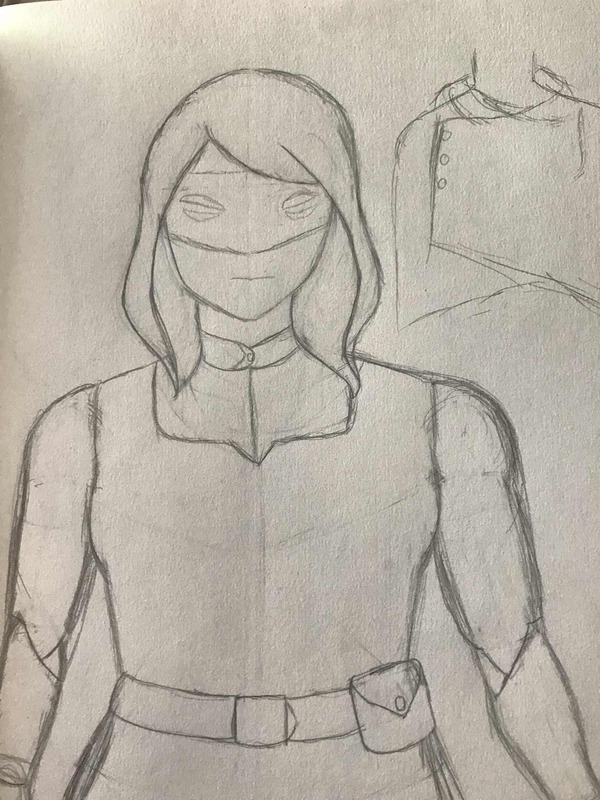 She wore a cloak that hid her toned figure and a mask in hopes of hiding her facial expressions. Her clothes weren't fit for the unforgiving sun. Indeed, the girl was being watched. Albeit, such yellow eyes remained unseen. The caravan was a mile down the road, so Chi had time to investigate and see if the girl was a threat. As a Tiger Demon, she was taught to execute the will of her master and since Dalitso was not a cruel man, she could not be opposite. She existed to serve the will and purpose of him; her very conscience was an extension of Dalitso's heart. Nightfall was soon to approach and in the desert it could get chilly; some found it harsher to survive in the night than in the day. Chi studied the girl from the shadows as she stumbled and fell to the sands, pitifully. There was no way this one would survive on foot and she was surprised that the girl had made it this far alive with no mount and poor attire. The wisdom of Chi searched the area to see if this was a trap or some kind of incantation or illusion, thus when the girl pulled for her knife, she finally spoke out; exposing her yellow hues and olive cloak that hugged around her muscular body; swaying naturally in the Aceba Desert wind. "That won't be necessary." Chi hissed. "You are in no danger from me. But something else brought you here?" She said the last part as a question. That was when the girl would see that the female speaking was an actual Tiger that stood tall and lithe. The caravan would arrive any moment and this gave them both time to figure out each other. But what Chi would do for the girl would be Dalitso's choice when her master arrived. The girl crawled back in fear, she's never seen anything like the being before her. When she heard it speak, she froze. "I...I..." When she saw the water skin, she could barely restrain herself from grabbing it. She willed herself to slowly drink some of the water. She didn't need to look even more pathetic than she already did. "I...was just...traveling.." She lied, she didn't know if the tiger could be trusted. She's seen how the hunters worked, they used trickery as their main weapon. The girl would hear the Demon Caravan arriving. Chi continued to hold the water skin out so she could drink as much as she needed. There was a gentleness in Chi's eyes that said caring, even though she was an unnatural being sent from hell itself. When the feeding was done and the girl had taken enough water that her tiny stomach could bare, the Tiger slowly evaporated. She would see Chi's flesh turn into tiny floating bugs until nothing was visible but the caravan that now halted before her terrified eyes. The aggressive tengo sniffed and snorted dust on the girl who sat helplessly before them. A few minutes later, Dalitso stepped outside of the caravan. He was tall and handsome. His mighty dreads fell down his boyish face. He touched the feathery visage of one tengu and all four of them calmed down. He held out a bowl of fruity cactus worms and let his mounts feed. "Forgive my Tengu pets. They are hungry. I hope they did not frighten you girl. Are you well? I am Dalitso." He offered his name and hand for her to hold. His teeth were white and perfect and his muscles were like a work of art that seemed unreal. How could a man like this exist, some would say? That was when the gypsies looked out of the tavern and seen who it was. They eyed the girl like five mothers wanting to run out and shelter her. But they would wait and not risk themselves if this was as trap and she was to turn on their protector, Dalitso. For now they all held their breath to see if this was real or a deterrence to their noble purpose. If the girl looked closely and paid attention she would see Chi again in the background, pacing behind the gypsy women with her black glowing demon sword in hand, smiling at the girl letting her know that all was okay and she would not be dying today. Alicia forced herself to remain calm. A part of her wanted to run, she had never been in the presence for someone so...powerful yet perfect at the same time. She had seen many people in her short life span, but none could compare to what she saw before her. “I-I’m...Cia.” Alicia decided to say. She still didn’t trust the man before her. No matter how amazing he seemed to be. She eyed his hand, rough from years of hard labor. It looked similar to hers, familiar. Yet when she grasped it, it was so gentle and kind. It almost made her cry tears of relief. Dalitso smiled and once she took his hand, he carefully helped her up from the dusty terrain. She would feel his calloused skin, albeit his flesh was tender and soft to the touch. The next thing she smelt was his skin that was dark like her own, with an aroma of cinnamon due to the sun how it naturally sweetened him. "Nahita, bring this girl a plate. She is skinnier than Sanze." Dalitso smirked. The gypsies all chuckled. Sanze ran and shoved him, playfully. Nahita hurried back inside the caravan to fix Cia a plate of food. Dalitso decided to share the personalities of each of them. She wanted Cia to feel comfortable and at home with him. Nahita was the best cook out of the bunch, but Zosa would disagree. The problem with Zosa's food was that she was the eldest and set in her stubborn ways; she often prepared her food too spicy; where Nahita knew how to blend the spices just right and create what some called exotic flavor. Then there was Pela who was the best hunter, her eight pack stomach proved that she was the best runner equal to Dalitso's own skill. Sanze was the youngest, she was a great dancer, and fine with the blade. And then there was Spear-Lady Lozita who was the Alpha female as of now; until one replaced her she was the one who called the shots. Dalitso explained all of this to Cia while they waited. When Nahita arrived, the plate was steaming under her hard fingers. On the plate was: steamed yellow curry rice, covered with a Aceban sauce made from crushed peanuts, cactus honey and saffron spiced potato with a shave of pickled garlic. They did not eat much meat, seeing it was rare to find good game in the desert. Mostly they ate fresh fish when they were near sea and in towns they stomached meat during holiday celebrations. "The wind will be terrible this night. Come inside and eat. We will decide what to do with you in the morning." The gypsies all went inside after Dalitso's words, thus Cia would see the Tiger remain outside. "That is Chi. She is my...companion. Long story. I can not get rid of her even if I tried." He grinned. The Tiger Demon bowed to Cia, then dematerialized into an evaporating smoke. After the tiger disappeared, Alicia couldn't help but relax in the presence of Dalitso. She felt comfort knowing the skin of Dalisto matched her own. His cinnamon scent made her feel comfortable yet sad at the same time. It reminded her of her mom's kitchen back home. She watched the group interact with each other, and she thought of her own family. She especially thought of her two siblings, her older twin sister who she saw a piece of in each of the gypsies before her. And her younger brother, who could be a younger version of Dalitso for all she knew. She looked at the foreign dish made before her, it reminded her of the dishes she watched her owner eat. Exotic and far too good for her master, except it had less meat than her master would've liked. He was always a pig when it came to food. She came inside and sat close to Dalitso. She just couldn't help but imagine it was her younger brother instead beside her, even though Dalisto was much older than her. She was hesitant to eat, even though the dish looked delicious compared to anything she's ever eaten before in her life. But she remembered the advice her elder twin sister gave her. "Be careful, it could be drugged. Always eat slow, but don't let them know you're suspicious of them. Always act calm and collected." She would say. So Alicia ate slowly despite the hunger that raged inside of her. She would pause in between bites, and try to see if she felt different than before. Dalitso nodded when he seen that Cia was eating slow. Eating fast would get her sick, if she hasn't eaten in a long time, even if the food was good. Dalitso ate beside her with his own plate. Primitively, he used his fingers to scoop up the tender rice and potatoes. He licked his full lips and drank down some berry wine from a gold goblet. Nahita being hospitable; poured both Dalitso and Cia more wine; it was not strong like that awful brine that the northerner's drank, but it was refreshing and sweet. Even the smell was sweet and Cia would know then it was unlike anything she'd every tasted. "Where we plan to go is a dangerous place, Cia. Tell me then...where were you going?" He continued to stuff his mouth, while he listened. His ecru hues watched her, adorably. She was underage he knew. Her voice was still so tender and pubescent. For this reason, he could not let her die. Had he listened to Lozita and left her in the desert, he knew she would have perished. All the girls seemed to be fond of Cia, but Lozita did not like how Dalitso looked at the young girl. It was as if the young girl was as threat to her. But Dalitso made his own decisions and could never be easily manipulated or talked out of something he felt was right. Saving this girl felt right to him. "Do forgive me, Cia. Enjoy your food and we can speak of it in the morning, if you are too weak to speak of it now. You took great damage out there in the sun. It may take you a few days to fully recover." From the shadows, Lozita listened in and frowned on his words. A few days? She stepped back jealously into the darkness of the caravan, thinking Dalitso has gone soft to let an outsider in. But she would not challenge him now. They had enough food and shelter for one more. She was just hoping he did not pick up every straggler he seen in the desert; or else they will all eventually be replaced. Alicia tensed at the question. She was sipping her wine after thanking Nahita when she heard Dalisto question her. While Dalisto has been nothing but kind to her, there were rumors of slaves capturing their own for rewards and higher status. Hunters were nasty, they figetted a lot sometimes, watched you for way too long and we’re sometimes pushy. But Dalisto...felt warm, and strong. Like the sun that kissed his skin. He was so kind too, none of her captors ever allowed her to rest for a couple of days. They usually pushed her until she couldn’t even move anymore. The caravan seemed more than a group, they seemed like family. A connection she saw many group of hunters lack. Dalisto was also telling her so much about them too. Everyone was so welcoming, Alicia almost felt as though she were in a dream. But the only thing that reminded her that this was reality was Lozita’s eyes. Sharp, jealous, familiar. They were the eyes Alicia felt from her peers whenever the master would praise her. She squirmed a little in discomfort. But she felt the need to tell Dalisto something while she could. She didn’t know how long his patience would last until he snapped. She also couldn’t stand to be watched any longer by the same gaze she’s felt from others for years. “I...I..” She struggled to get the words out. “I was..running away.” Alicia admitted. She watched Dalisto intently, observing his reaction. “I was..running away from..home?” She didn’t know what else to call it besides that. She was a long way from “home.” She thought as she remembered just how different her clothes were to Dalisto’s. Not only her clothes, but how they presented themselves. Dalisto and the caravan stood up straight and weren’t afraid of eye contact. Alicia was used to curling in on herself and looking down at the ground. Yet here she is, meeting the ecru eyes of a great, powerful man. The scars that were hidden underneath her cloak seemed to burn at her half-truth. Was there even a lie in there to be honest? Ecru hues softened at Cia’s words. Who or what was she running from, he thought? He exhaled and lost his appetite, laying the half eaten plate on the small table that they shared. He was also aware that Lozita was watching them. Albeit, unless she openly challenged him, then he would pay her no mind. For a while there was an awkward silence after Cia spoke. Dalitso swallowed, unable to respond. All he could do was show her support. He took her hand again and gently stroked her fingers. He smiled at her and finally made his decision. “Well, you are safe here and can stay with us as long as you need to. You are also free to go whenever you choose. At first dawn, will be heading to the port city, Afgaria. There you can decide if you want to remain with me or part ways. You will be much safer there in an active city, then with me. For my journey beyond the desert will no longer be safe for any of us.” He shared. He still stroked her fingers, tenderly, his affection like a father with the youth and love of a brother. Hesitantly, he let go and turned away to find her room. He explained that she could sleep in the oil chamber. This room used to belong to his mother, now it was a place where they stored oil and spices. There was a bedrest in there and an oil lamp that he lit for her before he left her alone to rest. She had expected Dalitso to try a question her, she had expected to be drugged, or suddenly knocked out cold only to wake up back where she came. She didn't expect Dalitso to....comfort her. "You are also free to go whenever you choose. A choice, she had never been given a choice before by a lot of people. But to hear that one sentence, to feel a comforting grasp around her hand from a stranger, somehow meant more than it should've to Alicia. As she laid down on the bedrest, her thoughts swarmed her. It was there that she allowed herself to openly cry for the first time in a long time. She wanted a lot of things, her family, her home, her friends. She wanted to be taken care of and care for another, she wanted to protect others and be defended. The 15 year old wanted so much, but there wasn't a lot she could have. She blew out the fire in the oil lamp when she finally made her decision. "He is not a liar." Alicia thought to herself as she saw the port city come into view. She had woken up after a couple of hours of sleep. She didn't get much, but at least she learned to live with what she had. When she opened her eyes she almost panicked seeing she was in the oil chamber. She had escaped, she had been found, and she had been taken care of. Putting back on the cloak she had taken off when she went to bed, she walked out of the room. Alicia didn't have anyone or anything, she hadn't had control of her life in a long time. She couldn't see how she'd be safe in new foreign land on her own. Though she wouldn't admit it out loud, she needed Dalitso. And not only that, she wanted to stay with him. "For my journey beyond the desert will no longer be safe for any of us." Dalitso shared. Screw it, she's had her fair share of danger. But she didn't know what use she would even have for the magnificent man. Alicia couldn't cook like Nahita, nor was she wasn't as strong willed as Zosa either. She didn't know how to hunt like Pela, or have a gift with swords like Sanze. And she probably wasn't a leader like Dalitso and Lozita, powerful people who were able to round others and get them to listen to their commands. If she stayed, she may be the runt and a burden to the others. Alicia went over to Dalitso when she saw he was awake, she asked him, "What would happen if I stayed?" Dalitso felt eyes on him always. Having a Demon Tiger bound to you made life interesting; you never truly had privacy. Thus he did not expect Cia to be up so soon. So when he heard her soft voice speak out to him, it startled him a bit. But he smiled anyway and was glad that the girl got some rest. He continued to direct the reins and they were only a few miles from Afgaria even though they could see the ocean and people settling in from afar. “You ask a complicated question, Cia. One that I may not even know.” He chuckled. Occasionally, the caravan wheels would ride over sharp rocks, making the ride soothing yet bumpy. As they got closer inland the roads would smooth out. Dalitso after he said his words, sighed and decided to not hold things back from her. He trusted that she was not a spy; so he had nothing to truly lose but his life, should she betray him. For now there was no reason to distrust her or think the worst of her. After sharing this, the gypsies were standing behind Cia, listening to see how she would react. She would see that their skin was clean and oiled unlike yesterday. Their blades were also sharp and polished; ready for the journey. There was a motherly smile that they all gave, a sense of pride and purpose was seen in their eyes. Zosa frowned and covered the girl with a lioness skin cloak; she needed something warm for the north if she was to survive. “Do not scare her, Dalitso. She can remain in the caravan while we handle our business there. She does not have to shed blood.” Zosa said. ”Nonsense, Zosa! You seek to spoil her greater than Dalitso already has. If she wants to live with us then she must pay the blood cost!” Lozita said. Dalitso waved his hand and calmed them both down. The ladies all listened. Dalitso never lost an argument with them, but had the skill to end them. Lozita frowned and stepped away, jealousy burning in her eyes. But Zosa, Pela, Nahita and Sanze all embraced the girl and hugged her; they showed her support in this hard decision for her. Dalitso smiled at the act and finally rode into the heart of the Afgarian port city. They would smell fresh eggs cooking, sausages and fish, the scent was rich of people and perfume. Merchants were active early and beggars beat on the caravan walls crying for silver. The crowd was screaming Dalitso! Dalitso! At that moment, Dalitso did what he always did for the poor; he threw a bucket of silver out in the streets; while they continued to praise his name. Unexpectedly, Alicia's eyes began to fill with tears. 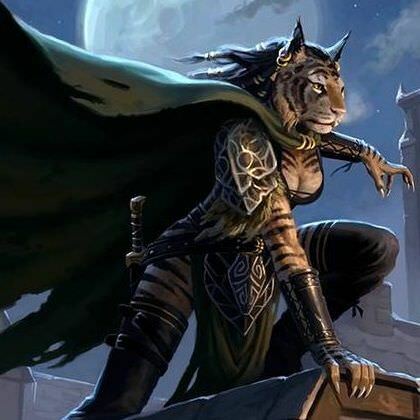 She quickly tried to wrap the lioness skin cloak that Zosa had covered her with as close as possible. She trembled as a certain sentenced repeated in her head. People like us they enslave, torture and control. Just how many of her own has she killed? How many of her own people has she been pinned against in order to fight for the entertainment of the rich Northerners. All kinds of faces will forever haunt her dreams, the faces of children younger than her, the faces of teenagers slightly older than her. So many faces she's lied to, manipulated, tricked and killed. Just so she could live. Alicia could never see herself as a liberator. She could only be seen as a murderer. She couldn't understand why Dalitso and the gypsies could put themselves through this. She didn't understand why they would put themselves through the stress of battle. She's shed blood before, but that was because she had to. Now she has to choose if she'll willingly kill someone? She didn't even know if she could continue. If she'll even continue the lifestyle of battle and war. But the man offered Alicia to stay without having to hurt another. She truly wasn't anything like Dalitso. She wasn't as kind as him, as strong nor brave. She wasn't sure she'll ever see things the way Dalitso did. As she felt the arms of Zosa, Pela, Nahita and Sanze wrap around her as she cried softly, she couldn't stop staring at Dalitso in awe. "I would do anything for you for as long as you'll have me." The thought startled her out of staring at Dalitso. She really would do anything to repay the kindness that was shown to her. She would do anything to be forgiven for what she's done. Her hands were already stained in the blood of the innocent. She might as well stain them in the blood of the guilty. "I'm...running away from my master..." She finally admitted to him. "I was running away, trying to escape having to fight slave children like me." It hurt for her to admit it out loud into the open. It tore her to even more pieces than before. She began to shake, making herself look even more pathetic she realized. "I...I was a slave put in the fighting ring...I...I had to kill slaves for the people of the North...I'm-I'm so sorry.." She broke down into even more tears. She tried in vain to get them to stop. Dalitso pulled the reigns and halted the caravan when Cia confessed her truths. The tengu stilled and at that moment everything went quiet. Dalitso stayed strong and did not get emotional. Instead he turned and listened to more that she had to say. She was not as innocent as he had assumed. He smiled at this relieve, albeit he did not discourage her tears. Compassionately, he nodded for the women to ease off her. They did as asked. He opened his arms and let her come into him. He would hug her strongly and let her bath his chest with her tears. This was the cleansing that she truly needed. ”It is okay, Cia. I am so very proud of you...that you survived. You overcame cruelty and abuse. You defied death. I am so proud of you.” He praised her. The gypsies had faces covered in tears; even Lozita listened and become empathetic and emotional. She swallowed and brought out a new scimitar for Cia to have. “It is yours girl. You will indeed fight. You will avenge the blood of those you took against your will. May the white oppressors know no mercy from you.” Lozita said, leaving the blade by her side. After that deep moment, knocking was heard on the caravan door. Dalitso released himself from Cia, gently and opened the door to see who it was that harrased them now. There was a rugged looking seafarer standing before them with a grin. Captain Lance was a white man, but respected. Lance was a friend of the Aceba Desert. Dalitso grinned back and they had knew each other. “Fortunately, no. We had other complications. You have the ship ready?” Dalitso said. “As long as you got the silver. I’ve been ready for three days, mate.” Lance said. “Good. At least you are well rested. Prepare the transport. I have a few things to take care of in the city and we can board at high noon.” Dalitso finished. Lance nodded and took his leave to begin the transport. Dalitso, turned back to observe Cia. He knew there was more they had to discuss. But if she had decided to join him then they would have a lot to talk about on sea. Now was a time for her healing; the cleansing was already done.